The less privileged elders need food, love and care. This project will provide meals to 30 homeless old age persons. 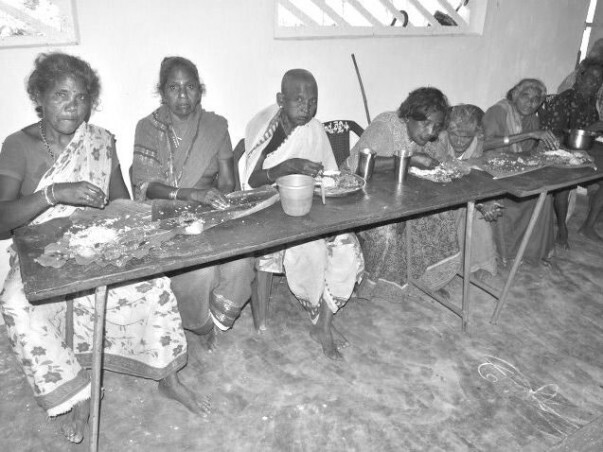 Every day we provide nutritious food to 32 destitute elder, who are homeless, neglected by their families. Due to poverty some families are not able to feed these older persons. Among 30 poor old age persons, some of them use to beg at neighbor houses, nearby locations to feed themselves. Our little contribution to the elderly makes their world healthy and happy. This micro project solves the problem by providing every day nutritious meals, clothing and medical care to 30 elderly people for one month. We provide Vegetarian meal with egg, rasam, curd and vegetable Curry. Such meal are easy to digest and healthy too. Their health condition of destitute elderly persons has been improved. We ask them to share their stories among themselves, so that they are free from worries. HSSDSS will stop starvation among destitute elderly people in Seetampeta & Palakonda of Srikakulam Districts of AndhraPradesh. The hamlets surrounding palakonda 30 older people get timely nutritious food and medical care. Elderly persons living conditions & life span will increase. 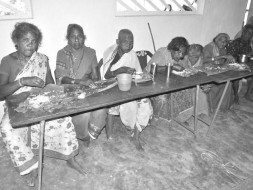 30 old age persons able to eat nutritious food and medicines in time without depending on others. The perception of the community on caring old age people will build positively.